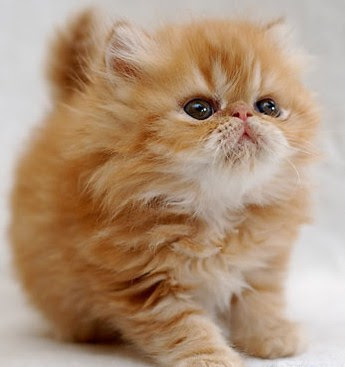 This week on Fluffy Friday, I am featuring an adorable orange kitty cat that reminds me so much of Phoebe when she was a baby! If I see this adorable kitty anywhere, somebody might have to stop me from cat-napping her. Look how precious and oh so fluffy! Get your Fluffy Friday badge and link code here! OMG I thought it was Pheebs GP!!.. aiyooohhh so cute this kitty.. i also want to cat-nap it lahh. That cat is too adorable! Great pic! Recent blog:=- EBW Is Back! This time I am behind the camera and have help of my little two-legged sister Elisabet with another one of her toys. so cute! whose cat is it marzie? Recent blog:=- Oh So Active! Recent blog:=- Keeping it Real! Recent blog:=- Let's Take a Break! Yay long weekend for us dat means woo hoo… but this weekend oso B working huhuhuhu…. i woke up around 9! :-P don't know wat's wrong wz me! so early i zzzzzzz! U are turning into “normal ppl” Monica no more night owl hahahaha! :* :* :* :* :* :* meow meow, thanks Guest!